At Thumbs Up Sailing Yacht Delivery we believe that every Yacht Delivery is different and try to offer a personalised service that suits you and your yacht. Please feel free to contact us to discuss your requirements via the form below or directly through our contact details on the right. Please fill in your yachts details as fully as possible to allow for an accurate quote. 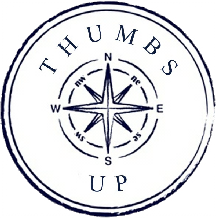 Thanks for your interest in Thumbs Up Sailing Yacht Delivery, we look forward to our future correspondence! Thumbs Up is based in the U.K, although we operate throughout Europe. Please feel free to contact us to discuss your requirements. We speak English and Spanish.